This is the authentic website which gives you comprehensive information about Mudiyettu Traditional Art Form and its different practitioners. 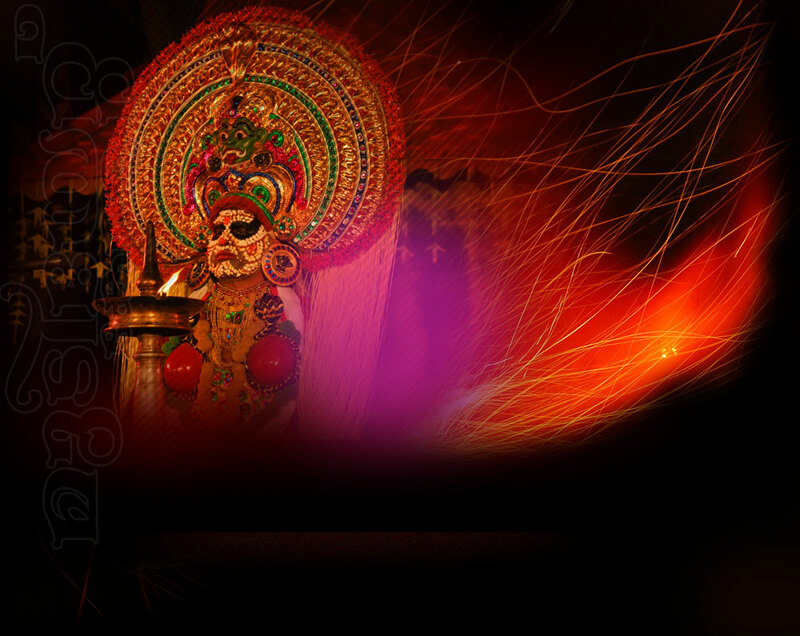 This website is launched by the researchers whose research documentation is approved by UNESCO for inscribing this traditional-ritual performing art form of Kerala on the Representative List of the Intangible Cultural Heritage of Humanity in 2010. Dr. Chunkath. K. Thomas, Mrs. Meena Paul and Mr. Aadarsh Chunkath are the three researchers, who submitted the research proposal to UNESCO through Indira Gandhi National Centre for the Arts, Department of Culture Government of India, New Delhi. Natyavedi Kerala, the cultural institution affiliated to Kerala Sangeet Natak Academy, Govt of Kerala since 1976, coordinated with them in this endeavour. For organizing performances, workshops and for audio visual support, you may contact us. Ph.D in Comparative Study of Theatre Arts, Television and Film. Master Degree in Theatre Arts from National School of Drama & Asian Theatre Institute, New Delhi. Alumnus of Film and Television Institute of India, Pune, Pondicherry Central University. TV programme Production & Technical Operations - FTII Pune. Multimedia Applications in TV Productions - FTII Pune. Script writing & Production for TV Drama - Common Wealth Association. Classical Dances of Kerala - Kerala Kala Mandiram. Traditional Dances of Kerala - Kerala Sangeetha Nataka Academi. Management of Media institutions - Regional Training Institute, Govt.of India, Trivandrum. Modernization and management - National Academy of Broadcasting and Multimedia Govt.of India New Delhi. An Indian Broadcasting Programme Service Officer (IBPS) of Govt. of India, 1984-2015. 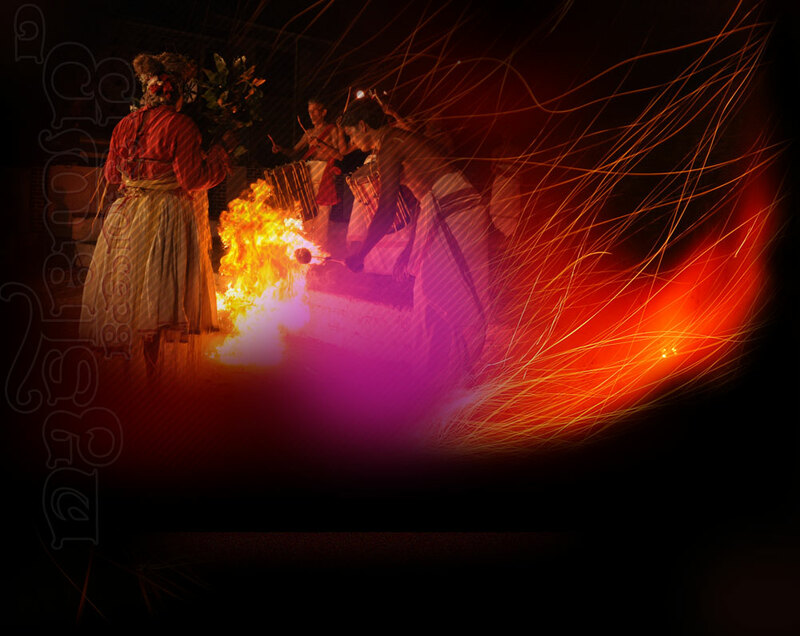 With experience in Research and documentation of more than 350 folk and traditional art forms. Communication of Gandhian Ideals through Film, Television, theatre and print media for more than three decades. Experience in Theatre Arts (Drama), with renowned Theatre Directors in India and abroad. 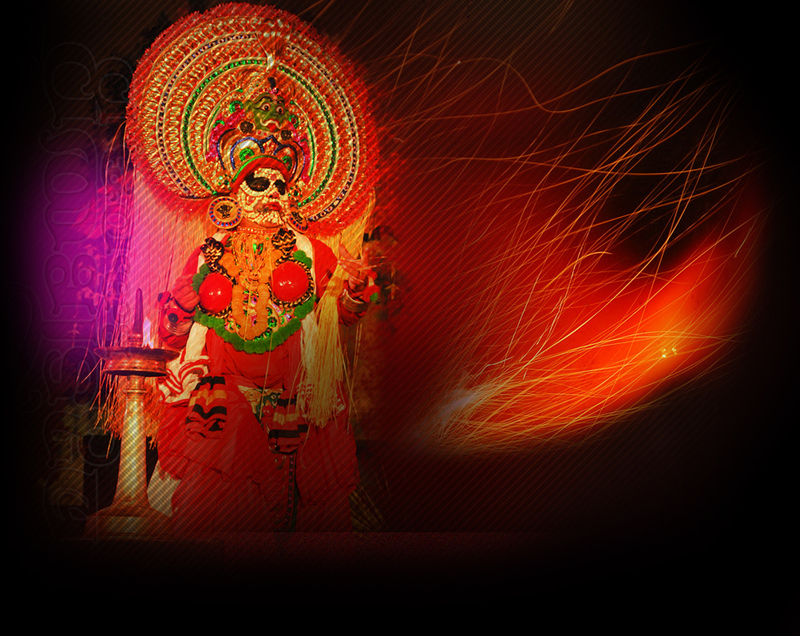 Directed theatre productions in Malayalam, Hindi, Tamil, English, French, Kannada, Marathi and Bengali languages. Presented plays at National Theatre Festival organized by Sangeet Natak Academy, Govt. of India, New Delhi. Directed a short feature film, 'Orikkal' based on Tolstoys story, 'How much land a man needs'. Directed 'Aa Manushan Nee Thanne', performance of the play with 400 artists on 7 stages simultaneously in 2010 for 18 days and 2011 for 21 days. Guest Faculty at Film and Television Institute of India, Pune & National TV Programme Training Institute, Luck now. Resource Person for Bharat Utsav National Festival under the initiative of Rajiv Gandhi in 1986. Directed 'Ecche Homo' (This is the Man) a multimedia presentation by 420 artists. Assisted in production of the film, GANDHI by Richard Attenborough. Produced T.V. documentary series on Gandhiji's constructive programme. Malayalam: Regular column 'Let us ask Gandhiji' in the 'Gandhidarshan' monthly, 'Kanaruthu, Kelkaruthu, Parayarithu' a play based on Gandhian Ideals, 'Onappottan', a Folk Drama , 'Om' a Play based on Mahabharatha and published Essays and Articles on Theatre, Television and Gandhian ideology published in journals and periodicals. After Master Degree in Theatre Arts, from Shri Shankar Dass Swamikal School of Performing Arts, Pondicherry Central University, qualified in National Eligibility Test for lectureship in Theatre Arts under the University Grants Commission, New Delhi. 2. Selected for the International Exchange programme of Universities and conducted studies in History, Art and Culture in United States and Japan. 3. Secured first class in Post Graduate course in History,at Indira Gandhi National Open University, New Delhi. 5. Pursing another post graduate course in English Literature, at Indira Gandhi National Open University, New Delhi. 1. Undertaken Research study on historical and anthropological aspects of Mudiyettu, traditional art form of Kerala. 2. The National Games of India (2015): Member of the Thrissur District Organizing Committee. My team was tasked with organising the cultural programme and the medal ceremonies of the five sporting events held in the district of Thrissur in the state of Kerala. 3. Debating Society of St. Stephen's College: Vice-President, 2008-09. The Debating Society organizes debating competitions and prepares teams for participate in debating competitions across India. The annual Mukarji Memorial International Debate Competition, India's oldest debating tournament, is organized by the Debating Society and I served a member of the organizing committee in 2007, 2008 and 2009. 4. Directed a docu-feature on masks and mask-like makeup in Kerala. 5. Directed a documentary on wall paintings in Kerala, for Artists' Co-operative. 6. Script and commentary for a short documentary on Chavittunatakam folk drama of coastal Kerala. 7. The Stephanian: Member of the Editorial Board, 2008-09. The Stephanian is the official journal of St. Stephen’s College, Delhi University. 8. Second prize in 'Civilization Presentation' competition (2007) at Miranda House College in Delhi University. Made a presentation on the ancient Indus Valley city of Lothal on the basis of photographs and data collected after visiting the site. Eminent historian Prof. Amar Farooqi was the head of the judging panel. 9. Best speaker and best team prize in the 'Aarth-Vaad' debate organized by Indraprastha College, Delhi University, 2007. 10. Finalist in the Saarang Debate Competition organized by IIT Madras, 2007. 11. Finalist in the CSA-LSD national debate competition in Loyola College, Chennai, in 2006 & 2007. 15. Script-writer and presenter of an hour-long programme on the Kochi-Muziris Biennale (2013) for Doordarshan, the national television network of Govt of India. The Biennale was the largest art exhibition in Indian history. 20. Finalist in the Young Visionary Award, hosted by the India Habitat Centre, New Delhi in association with the National Geographic Channel, 2007. 21. Co-Curricular Champion in class XI, Hari Sri VidyaNidhi School, Thrissur, Kerala, 2005. 1. Participant from India from St Stephen's college, Delhi University for Near East and South Asia International Exchange Programme (NESAUGRAD) of US Department of State. Completed course in International Relations, History and Culture at Southern Maine Community College, USA. 2. Secured entry in the Dean's List for the Fall Semester at Southern Maine Community College recognizing the academic achievements. 3. Friends of Casco Bay: Community Service Volunteer, 2008. Did voluntary service at this award-winning Bay Protection Organization in the city of Portland in Maine, USA. And also helped in organizing a film festival on environmental issues and I travelled across the bay on boat, measuring and surveying the levels of pollutants and other parameters to prepare reports on the overall health of the bay. 4. Visited different universities in the USA making presentations on tradition and culture of India. 1. On international selection for exchange programme from India to Japan, studied History of Cultural Traditions of India and Japan at SOKA University Japan. 2. First prize in the World Language Centre 10th Anniversary Essay Contest, Soka University, 2009. 3. Made a presentation on Rabindranath Tagore and the cultural traditions of India, for International student community and scholars from 47 Nations.It was appreciated by the media and academicians. 4. Indo-Japanese concern for peace :Produced a programme documenting visuals and data from the Hiroshima atomic explosion site, juxtaposing Gandhian peace activities. This programme was telecast in the Govt of India National Television Network. 5. World Language Centre (WLC) at SokaUniversity: Coordinator, 2009-10. At the WLC, my task was to organize study-discussion sessions among Japanese and international students for learning languages. 1. International Young Alumni Conference (IYAC), Islamabad, Pakistan (April 2013). I was among 10 Indians invited to attend the IYAC, which brought together students and working professionals from India, Pakistan and Afghanistan, who were recipients of scholarships of the U.S. Department of State. 2. presented Indian concept of 'vasudaivakudumbakam' projecting International Peace and Unity at the IYAC conference. 1. Member of the Research Documentation project on Mudiyettu performing art form of Kerala, which was approved by UNESCO and thus Mudiyettu was inscribed on its Representative list of INTANGIBLE CULTURAL HERITAGE of humanity, from India in 2010. 1. Selected in the International Educational competition, 'WINGS OF EXCELLENCE' participated by 350 universities across 109 countries.Invited for the International gathering LEADER OF TOMORROW in which more than 600 eminent personalities including Nobel Prizewinners, National leaders, prominent industrialist, technocrats, educational experts etc. took part. This conference and interaction was held at St GallenUniversity Switzerland. Based on the subject 'The Dilemma of disruption', he made a presentation: A NEW MANIFESTO FOR EDUCATION in the light of the in-efficiency of present system of education, and proposed a new education project GAMES ECO SYSTEM-Guidance and Mentoring for Empowering Students, comprehending the educational experiments taking part in different parts the globe and imbibing Gandhian concept of education. Copyright © 2011, www.mudiyettukerala.com, All rights reserved.